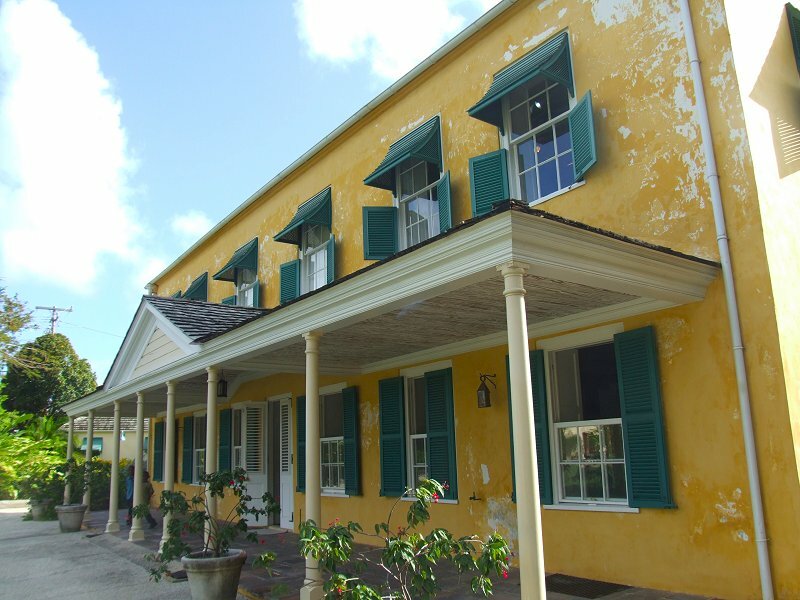 The House, now appropriately under the control of the Barbados National Trust, is also of interest to other visitors, including Barbadians, as it gives useful insights into life as it was in the Barbados of 250 years ago. The ground floor of the building is furnished in the manner in which it might have been in 1751. On display are such basic items as a four poster bed with a rather lumpy mattress surrounded with mosquito netting very much needed then as protection against these little pests, a small face basin and ewer in one corner and, under the bed, the very necessary chamber pot since at that time there were no indoor bathroom facilities. Other rooms display different requirements for “civilised” living – chairs of various kinds, a marble table top on which to place hot dishes, and various items of crockery and cutlery, some recovered from the nearby gully. 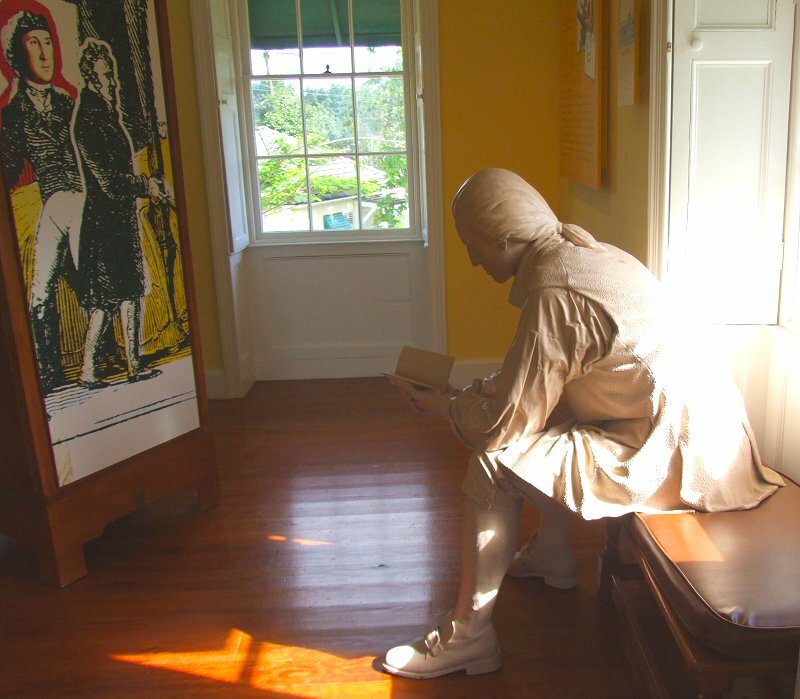 The House provides interesting insights into the ways in which people of that day made the best of circumstances and were quite imaginative in “making do”, as we today would think of it, with what was available. For example ice was not available so wine bottles were kept reasonably cool in two rooms so situated as to benefit from an almost steady breeze. Interesting, as well, was the means used both to filter water and to keep it cool. Water was poured into a stone jar and because of the vessel’s porosity the water gradually dripped into another similar jar below it and from this into yet a third jar below the second one. As a result, impurities in the water were filtered out and as some of the water evaporated it absorbed warmth (heat) from the containing vessels and thus cooled the main body of water. 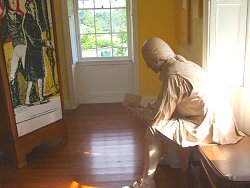 The second floor of the building is devoted entirely to displays of items typical of life in the mid-eighteenth century, and the items are richly described with both visual and audio aids. On display are some medical appliances of the time – pharmaceutical bottles, thumb lancets and cupping glasses which “were heated to create suction to draw blood to the skin’s surface”. An interesting item is a reminder that Washington contracted small pox, a deadly disease that was rampant at that time and quite frequently resulted in death to those who contracted it, so Washington was fortunate in the doctor who tended him and helped restore him to health. According to the record he was successfully treated by a Dr. Lanaham “a third-generation Barbadian” who was “a practitioner of physick and surgery”, and the note adds the thought-provoking comment by historian Eustace Shilstone that “The course of the nation and perhaps of the whole world may have been changed if the doctor had been less skilful and attentive; a theme which needs no elaboration”. 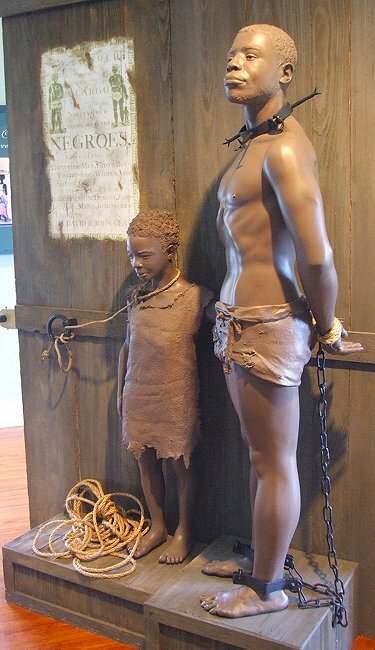 Other artefacts on display remind present day visitors of the existence of slavery at the time Washington came to Barbados for open to view are such things as spiked manacles, manacle and chain and barbed-neck collars “used as a form of restraint/punishment”. Also displayed are agricultural implements like sickle, cane bill and hoe as well as other items found by archaeologists in digs close to Bush House, as Washington House was previously known. These include stoneware, porcelain bowl, buttons, buckle, glass beads “probably used by slaves”, pipe bowls, grape shot (cannon balls), gun flints, musket balls, bottle fragments and earthenware chamber pots. 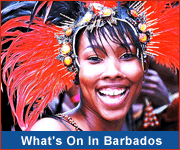 All these constitute a treasure trove helping to shed light on the Barbados which Washington visited. 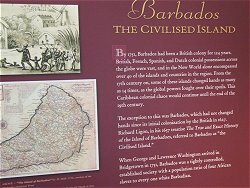 Barbadian visitors will find of interest other striking bits of information not widely known such as that “in the context of the British Empire in the 17th and 18th centuries, Barbados played a surprisingly large and important role ... (and) was the central hub of the Caribbean for travellers and goods”. 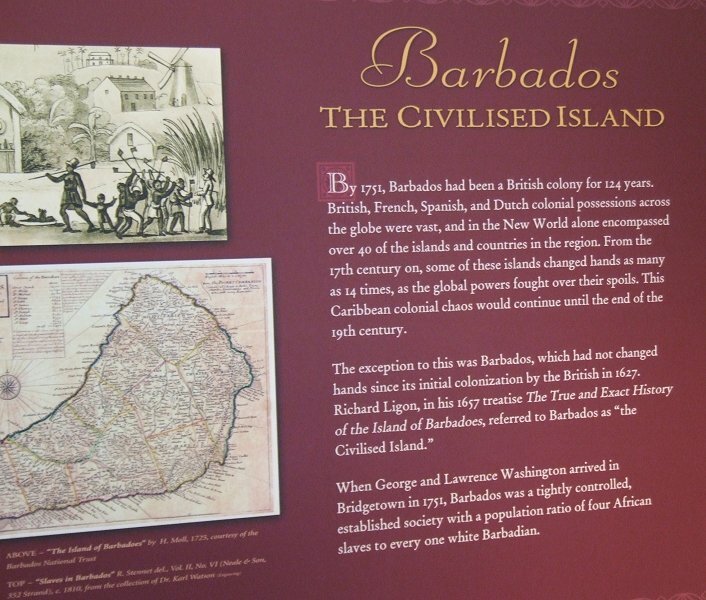 It also had “one of the best fortified coast lines in the British Caribbean” something that proved of particular interest to George Washington who, with the approval of the Fort’s Commander, examined these with great care. One report suggests that “the knowledge gained during his visits to the various forts along the west coast surely influenced his future military career”. 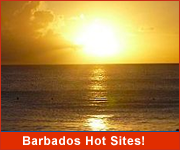 Washington was “an excellent horseman” and a “passionate landowner” as well so it is of some importance that “What he observed for the first time in Barbados were some of the most innovative agricultural techniques of the day”. These included “using dried cane stalks or bagasse as fuel in the boiling process’, and “dung farming where animals were put into pens, fed grasses, brush or green matter to produce rich manure … to renew depleted soil in sugar cane fields”. Barbadian and other visitors to Washington House will also learn, almost certainly to their surprise, that “the grapefruit originated in Barbados”. The display features an interesting reference to the African, Olaudah Equiano, who “purchased his freedom for £40 in 1766 … (and) worked in London as a hairdresser and a seaman”, his autobiography rightly being considered “a manifesto for the abolition of slavery”. This serves as a reminder that in the matter of slavery Washington found himself between a rock and a hard place, to use present-day idiom. 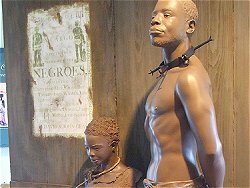 He was a slave owner yet “struggled with, and recorded in his papers, the many moral dilemmas of owning human property”. Indeed he was challenged on this matter in a letter from one Edward Rushton in 1797: “Washington, Ages to come will read with astonishment that the man who was foremost to wrench the rights of America from the tyrannical grasp of Britain was among the last to relinquish his own oppressive held of poor and unoffending negroes”. 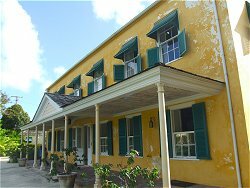 George Washington House is most certainly worth a visit by all, Barbadians included. 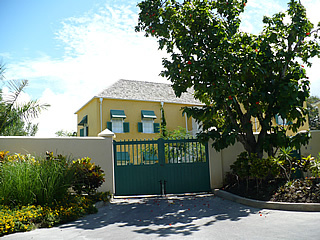 George Washington House is located within the World Heritage Site - Historic Bridgetown and Its Garrison. 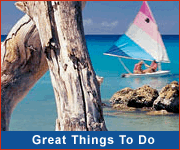 To visit this beautiful location and others, take an island tour.